Moorefield, a.k.a. Moorefield Station, is a Transit and Trail Oriented Community. Approved by the Loudoun County Board of Supervisors on November 30, 2002, the project consists of a series of residential neighborhoods and commercial districts. 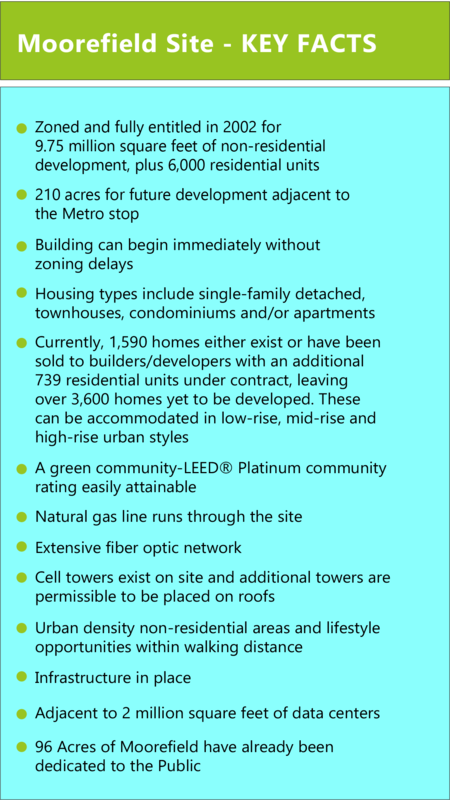 Today over 4,400 residential units and over 9 million square feet remain for future development. The owner, the Claude Moore Charitable Foundation (CMCF), is not a developer. CMCF helps nurture the project through its planning efforts with the assistance of the Claude Moore Conservancy. The existing neighborhoods of Moorefield Green, Moorefield Village and Westmoore all add to the fabric of Moorefield. Future opportunities await; the Excitement is Building! Dr. Claude Moore was a successful physician and Northern Virginia landowner. He left his estate to the Claude Moore Charitable Foundation in order to provide assistance exclusively for charitable and educational purposes. The bulk of his estate consisted of real estate, most of which was in Loudoun County, Virginia. To further the Claude Moore Charitable Foundation’s ability to carry out Dr. Moore’s philanthropic goals, the foundation has systematically sold a large portion of his vast real estate holdings and is currently focused on a disposition strategy for Moorefield, adjoining the Ashburn Metro station. Dr. Claude Moore was a colorful and outspoken millionaire known for his public generosity and personal frugality. He was born in Danville, Virginia in 1892. 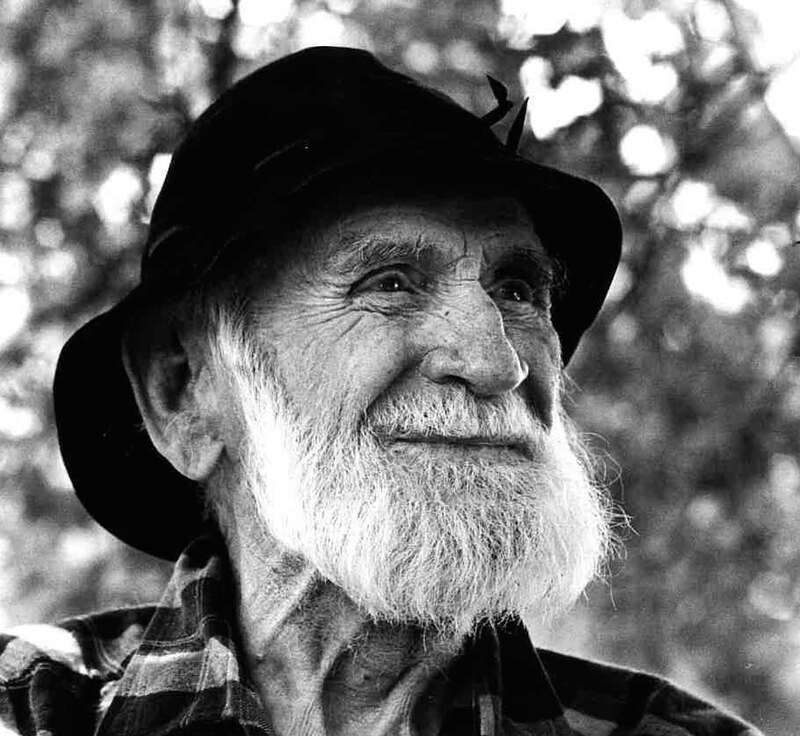 He would later describe his childhood in the Southwest Virginia towns of Radford and Roanoke as one of poverty, steeped in the values of hard work and thrift. After two years at Roanoke College, young Claude entered the University of Virginia Medical School, where against the dean’s advice, he also played varsity football, relying on his photographic memory to enable him to pursue sports in addition to his demanding academic schedule. He graduated in 1916 and went on to complete his medical internship at New York Hospital. In 1917, at the onset of World War I, Dr. Moore volunteered for the Army, received medical training in military surgery at Mayo Clinic, and served as a first lieutenant in France. Following World War I, Dr. Moore returned to Roanoke, where he practiced for seven years before joining the staff of Mayo Clinic to study radiology. In 1930, he moved to the District of Columbia and taught at the George Washington University. A professor in radiology, Dr. Moore served as the first chairman of the university’s radiology department, developing it into a modern facility for the time. He later established a lucrative independent practice. Dr. Moore began investing in undeveloped Northern Virginia land in 1931, acquiring many of his holdings at public auctions. He typically stocked these properties with cattle or sheep, or leased them to tenants for farming. When he retired from the practice of medicine in 1956, Dr. Moore turned his full attention to land investments and, for a time, was one of the largest landowners in Loudoun County, Virginia. Dr. Moore, who passed in 1991 at the age of 98, established the Claude Moore Charitable Foundation in 1987 to continue his philanthropic legacy.